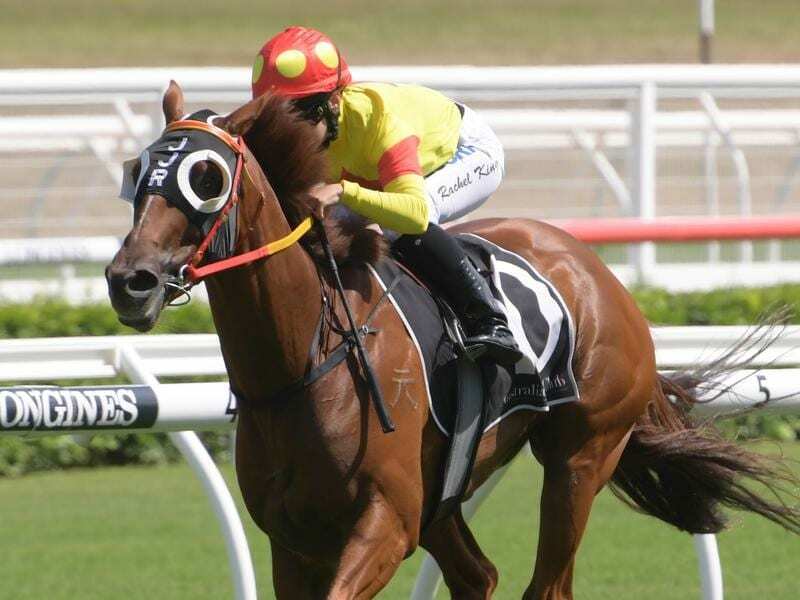 Rachel King has thrilled Randwick racegoers with a daring front-running ride on Mercurial Lad who has passed his first test over 2000m with aplomb. Mercurial Lad ($14) was as much as 10 lengths in front in the benchmark 88 handicap on Saturday, not necessarily by design. King said she was unaware how big the lead was as she concentrated on the task at hand, riding him to beat Island Missile ($4.40) by two lengths. “I couldn’t go any slower,” King said. “He is pretty strong when he wants to be and gets in a good rhythm. “I didn’t actually realise how far in front I was. I just trying to go as slow as I possibly could without fighting him too much. “I actually wanted one to come near him on the corner because he does fight when he can hear one coming. The five-year-old is trained by Barbara Joseph in partnership with her sons Paul and Matt Jones, who will look at races such as the Albury Cup now he has proven himself over the distance. “I had my heart in my mouth but he is such a tough horse,” Paul Jones said.